Latte Dock v0.8.8 has been released containing important fixes and improvements! Following Latte Colors tale, today I am going to introduce you another major feature that Latte git version supported the last month, Online Indicators. From early development days of upcoming v0.9 it was obvious that some users did not like my Latte indicator and its behavior 😟 . On the other hand I like it so much that I dont want to change even one single of bit of it. I am not the person that believes that he knows what is the best for all and for that reason I believe a lot in choice and user options (with sanity of course). The dream was pretty simple, the users should be able to install/create their own indicators and this should be pretty simple and straight forward. Latte Dock v0.8.7 has been released containing important fixes and improvements! A few months ago while I was scratching Latte Dock limits an idea came and haunted my thoughts. How Latte could give the colors freedom for panels and windows that an Android phone already provides? Questions like this arose and solutions appeared suddenly in many different places, but an important and concrete dream prevail in the end. Latte Dock v0.8.6 has been released containing important fixes and improvements! Latte Dock v0.8.5 has been released containing important fixes and improvements! 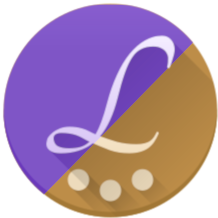 Latte Dock v0.8.4 has been released containing important fixes and improvements!